The Volkswagen Golf Cabriolet dates back to 1979 when a convertible version of the VW hatchback was commissioned from Karmann. The new car shares a similar look but is considerably larger than the original. 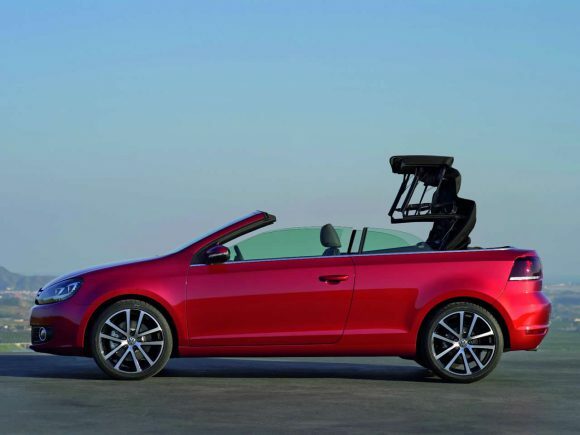 It also loses the basket-handle roll bar typified by all previous Golf Cabrio’s. The soft-top is fast acting and folds away neatly. It also offers great sound and heat insulation that is comparable with the hatchback. The standard equipment level is great and the interior beautifully finished and well equipped if a little conservative. 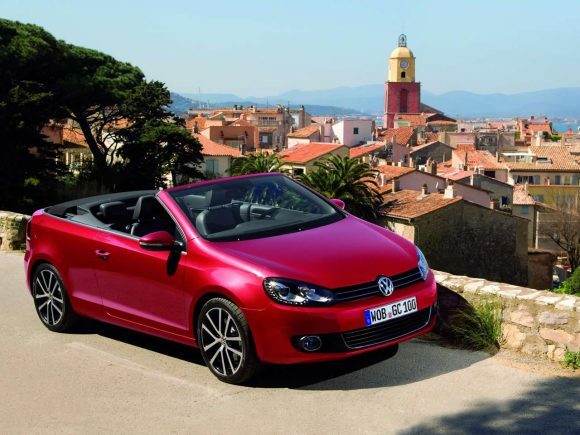 Dynamically hard to fault, the VW Golf Cabrio is a cat that is very easy to drive and makes light work of town driving with the occupants stress-free and in great comfort. 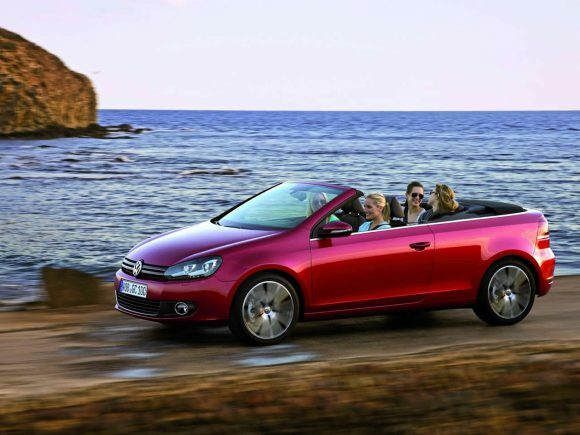 The 1.2 litre VW Golf Cabriolet is the least costly way of getting your hands on the Volkswagen Golf drop-top. The TSi engine is no power-house, but it is zesty and characterful with noticeably more go at higher revs. The 1.6 diesel feels much more lethargic despite the two being equally matched on paper. Fuel economy of the 1.2 is also good and the whole car has a great feel of quality. The petrol engine in the VW Golf Cabriolet 1.4 TSi balances economy with a decent amount of power. While it isn't as quick as the 1.4 GT it is still capable of competent performance. Fuel economy is excellent and the car is very refined to drive. 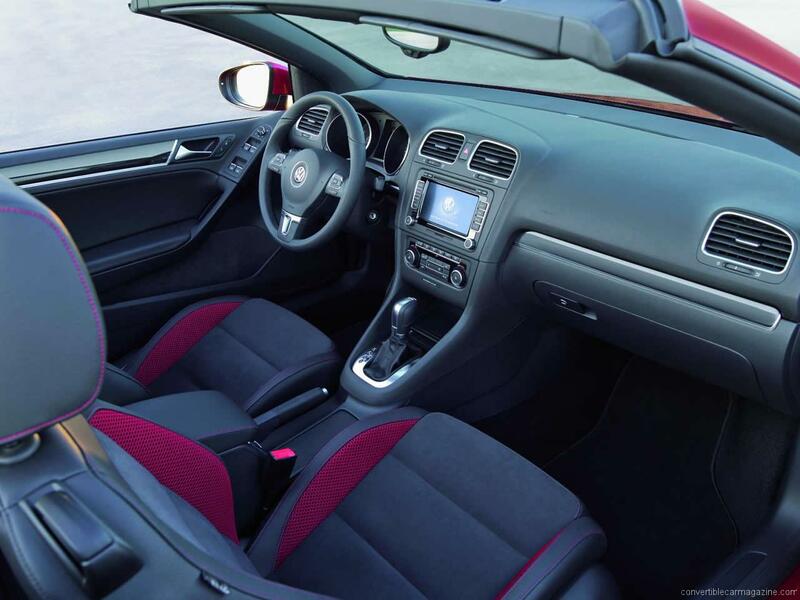 The Golf has a premium car feel and a handsome interior. There is a choice of 6 speed manual or VW's excellent 7 speed DSG paddle shift (with full auto option) gearbox. At its launch the GT's 1.4 petrol engine was the most powerful available for the Golf Cabriolet. It may sound tiny but it manages a full 160 hp thanks to 16 valves with variable inlet timing and a crank-driven supercharger. 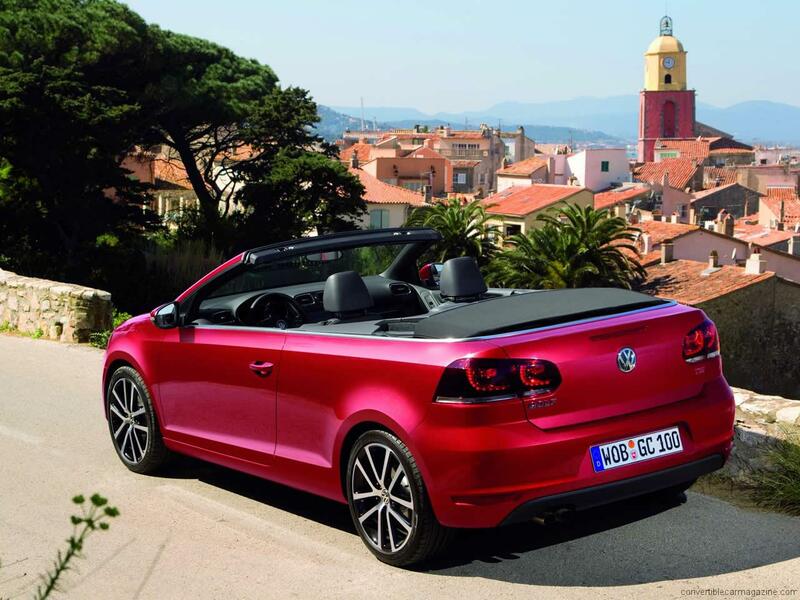 It gives the convertible Golf an impressive turn of speed without over-stressing the chassis. Performance is similar to what you would expect from a 2-litre unit, but the fuel consumption is a far more friendly figure. VW injects a bit of its Bluemotion technology into the 1.6 diesel Golf Cabriolet to produce exceptionally low fuel consumption and emissions. Particularly impressive considering this is a solid and weighty vehicle. It moves along at a reasonable pace but certainly couldn't be called a sports car. It is most at home eating up the miles on long trips where the smooth suspension and light steering make it a pleasure to drive. With a punchy turbo diesel engine, the VW Golf Cabriolet 2.0 TDi is not only a good performer, it is also economical and refined. It is a pleasure to drive and even at tick-over it is hard to tell there isn't a petrol engine purring away up front. Keep it within its power band and there is fun to be had with lots of torque to get you off the line and the turbo providing a whoosh of power as you accelerate. 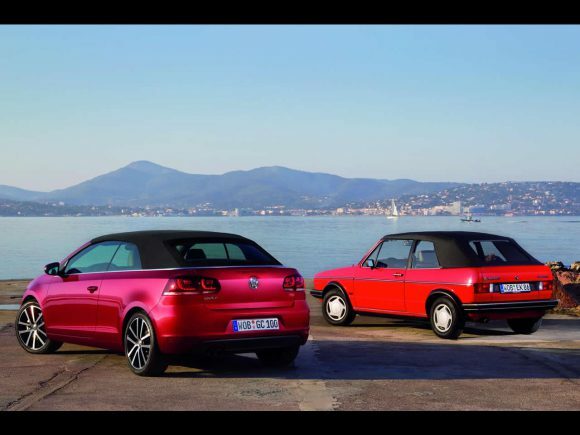 Do you drive a Volkswagen Golf Cabriolet? Would you recommend it to others? Join the conversation and let us know what you think of the car. This Volkswagen currently has 4 owner reviews. I’ve recently taken delivery of my new 1.6 SE VW Golf Cabriolet and it’s even better than I had even anticipated. I had a gold cabriolet many many years ago, one of the originals and loved it to bits until it had to go due to getting wed and having children. The children are of an age now where I can grab at the last youth I have and when VW announced the rebirth of the Golf cabriolet, I just had to have one. Well done VW, Excellent JOB! Heck yes I’d drive one. If the VW Golf Diesel Convertible was available in the states, there would be no Audi A5 Cabriolet in my garage! I want to buy one of these!! But not going to be sold in the U.S.!!!!! Why? When will the VW Golf Cabriolet convertible be available in the USA? Are they available for purchase in Mexico?